Robert joined MFX in 2017 to manage the Risk Management function. 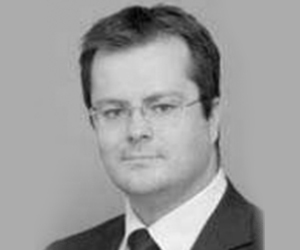 Robert has over 15 years experience in risk management, risk modelling and strategy. He spent his early career at KMPG Mexico, the Dutch Central Bank (policy making and banking supervision) and Cardano Risk Management (in this position he was responsible for risk management at TCX). Currently he provides services to companies in the field of risk management and strategy. Robert holds a Master in Science degree in financial econometrics from the Erasmus University and a Master in Philosophy degree in economics from the Tinbergen University. His thesis was awarded the first price from the Dutch Ministry of Finance during an annual contest. He was also a member of the Dutch fencing team and participated in world cup tournaments, European and world championships.